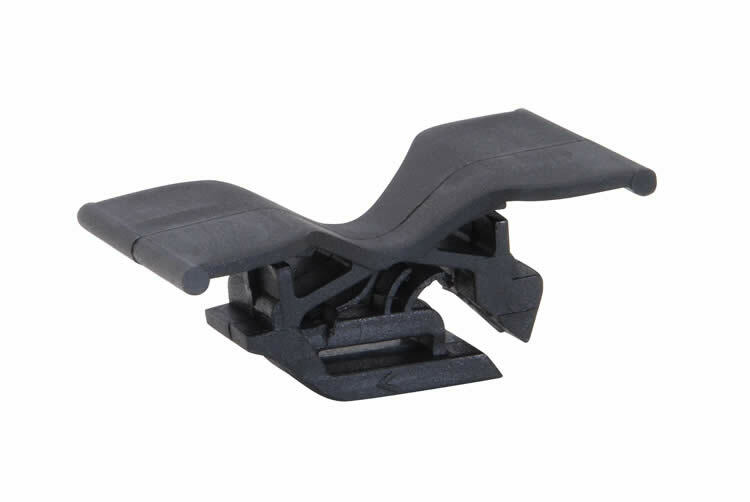 Manufactured as standard in Black Nylon, the butterfly clip snaps into 41mm wide framing channel. 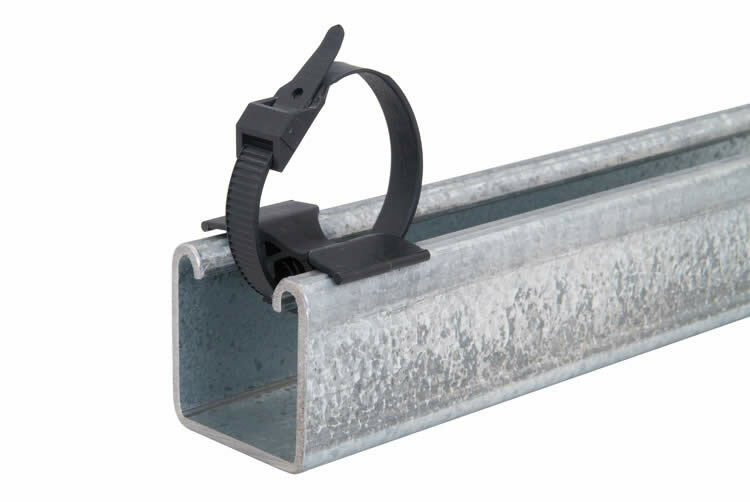 It will accommodate a cable tie of up to 100mm in width (not included). Used to allow cables to be strapped at right angles to the channel.